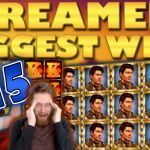 To be honest I have a love hate relation with today’s Casino Streamers Biggest Wins – Week 11 of 2018. On one side I got one of the best wins of the compilation. On the other though it was on another slot streamer’s channel. - But ore on that later. First let's dive in and take all the slot wins, one by one, from 12th until the 18th of March 2018. Lastly, if you want to try any of these slot machines, you can play them, for real money, on any online casino on our trusted casino list. Watch a quick montage of the wins on the video below. Follow the detailed videos of every win from each of the streamer’s personal Channels. 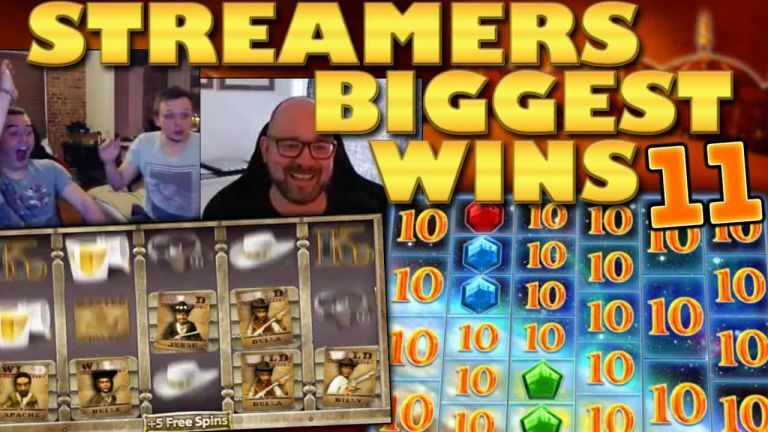 To start Casino Streamers Biggest Wins – Week 11 of 2018 we travel to Germany. Specifically on Shirox’s stream while he was playing the new Imperial Opera slot on a €5 bet. 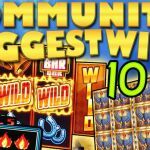 This Play’ N Go title has the potential to give a huge number of free spins. 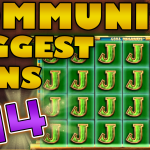 Our slot streamer took full advantage of that potential, winning 100 free spins. As a result the game rewarded him with a big €2610 total win. This new Asian themed slot is already available on Kaboo, as well as, multiple other online casinos. 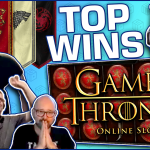 As to remind us that there is no GOT this year, more and more slot streamers are winning big on the Game of Thrones slot. This time it was Slotplayer who got the free spins during a £1.5 bet. Like Supersmaks, last week, the Brit also went with the lannister crest as the special bonus symbol. A great choice which saw the bonus give a massive £969 total win. This slot is available in almost any online casino, including Casino Room. PS: there are two more big wins on the video below, and they are also worth the watch. From one Microgaming slot to another, and from the UK to Denmark. Hence Supersmaks landing a sick base game hit on the Phantom of the Opera casino game. During one of the spins, a combination of a premium symbol and wilds turned a SEK 15 bet into a mega win of SEK 7566. We are curious to see how much will this slot streamer win when he gets the bonus. Until then though you can try the Phantom on Super Lenny, or any other online casino. Yeah yeah I know! - I should stop winning on other people’s streams. Jokes aside though, the win me and Slotspinner got on the Gold of Persia slot is one of the best I have ever seen. It all started with an unexpected bonus trigger, while on a €2.5 bet at Dunder casino. To tell you the truth I have difficulty to even remember how many tr-triggers we got. I could only see the number of free spins going higher and higher for a sick total of 195. However the 163rd spin I will remember for a long time, as it was at that one that we landed 5 scatters for a 1500x win. Over all a spectacular bonus round and a massive win of €5577 in total on the bonus. 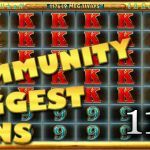 We will close today’s Casino Streamers Biggest Wins – Week 11 of 2018 with Jarttuslot. Most of you might have already guessed it, as this was by far the best win of the week. Probably the best win of the year as well. - I predict. In sum, our Finish slot streamer was making his usual mega bets of €13.50 per spin. The game was Dead or Alive and the casino was OVO. It’s every slot player’s dream to get a wild line on DOA while on a huge bet. That’s exactly what happened to Jarttu and the result is already casino streaming history. We will not say anything else, as we want you to experience the win without any spoilers. Just enjoy! Tell us which win on Casino Streamers Biggest Wins – Week 11 of 2018 was your favorite. Share your thoughts in the comments. Also make sure to check our other videos on CasinoGround’s YouTube channel.